Canopy width is a substantial 180 cm, (approx 70″) and maximum height is also 180 cm. N.B. The base unit is NOT included. 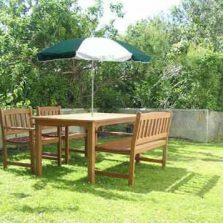 The forest green garden parasol is an inexpensive parasol for those hot days when you get the chance to relax in your garden. Then again, with our weather, you’re just as likely to need one to keep you dry during those summer showers. Gloss white two-piece powder coated shafts with height-adjustable clamp and a tilt adjust mechanism for additional angle positioning as the sun moves across the sky. 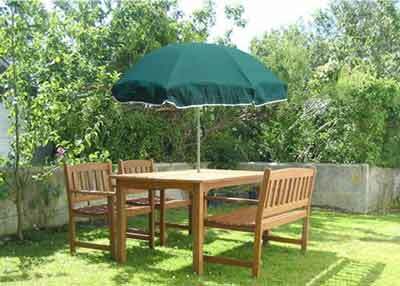 This green garden parasol is the perfect addition for any garden or outside seating area. 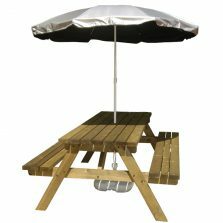 Protect yourself from the rain or sun alike with this great garden parasol! 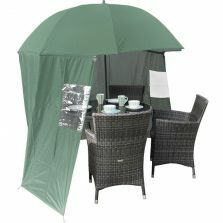 Perfect for staying sheltered in your own garden. Not the parasol for you? 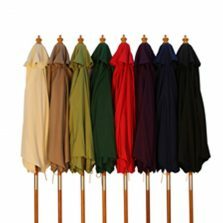 Check out the rest of our range of quality garden parasols!